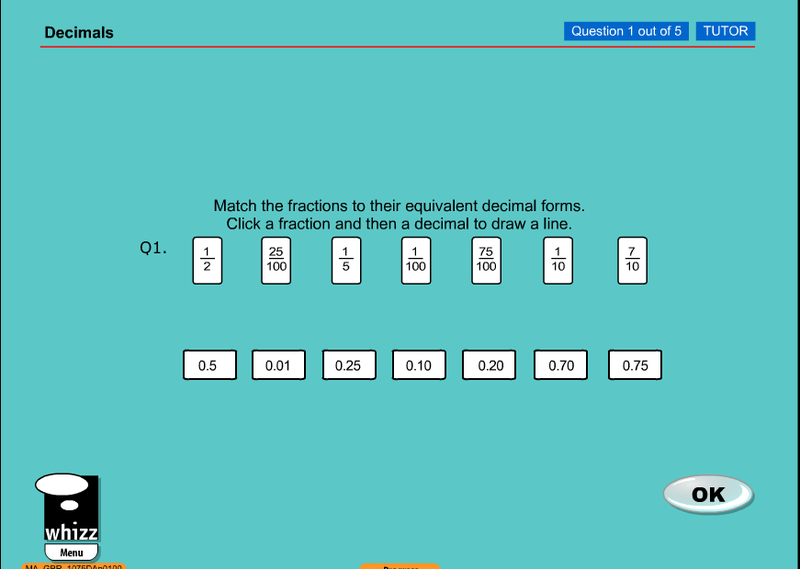 In Maths Whizz I have been learning about Decimals converting into Fractions. In my test I have to drag a line to which decimal is the exact as the fraction. This will help me improve my learning in Decimals and fractions. 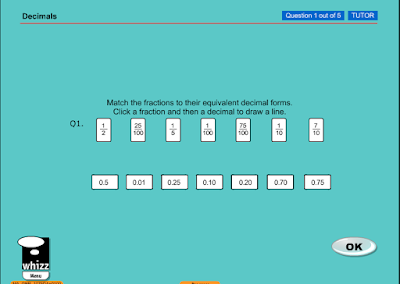 They are also in equilateral decimal forms which makes it quite harder. Hopefully I will get a 5 out of 5 which will earn me 30 maths whizz coins! !